1. Apply base coat. Use red polish brush and draw a round shape at the tip of the nail. 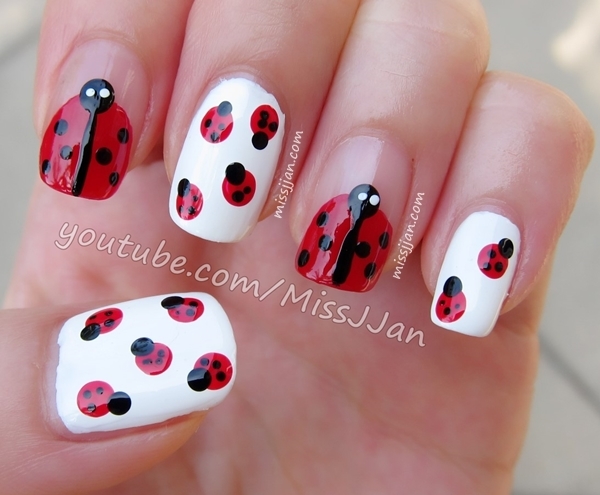 Then use a bigger dotting tool dipped into black polish and create a ladybug head like so. 2. Use a black striper and draw a line in the center of ladybug body. 3. use a smaller dotting tool dipped into black polish, create dots, 3 dots on each side. 4. use smallest dotting tool or pointed side on the tooth pick, create 2 white dots for the eyes. 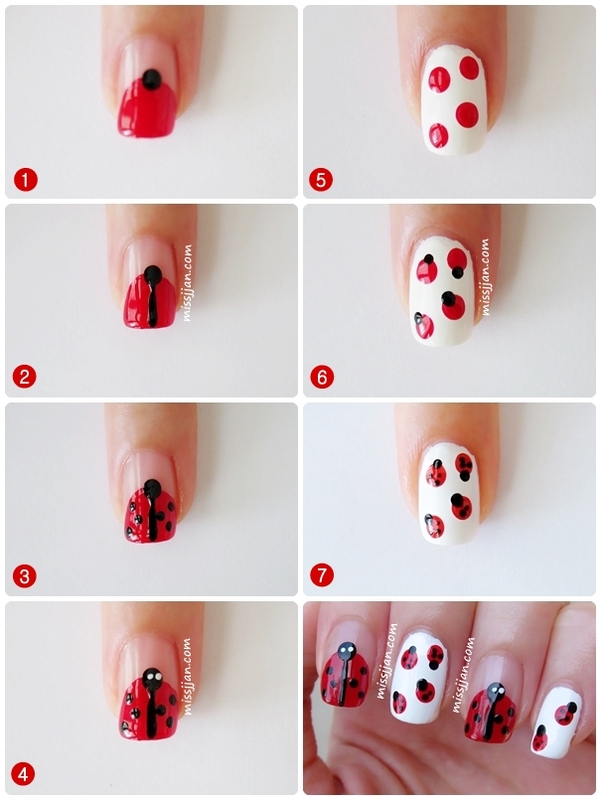 5. on white based nails, draw 4 or 5 big red dots using dotting tool. Those little tiny ones are sooo cute! :D love it!